Jose Mourinho has identified the players he wants out of the club in the summer of 2018. This, in turn, will help him bring in a number of key players he believes will bolster his squad and help him fight for titles. 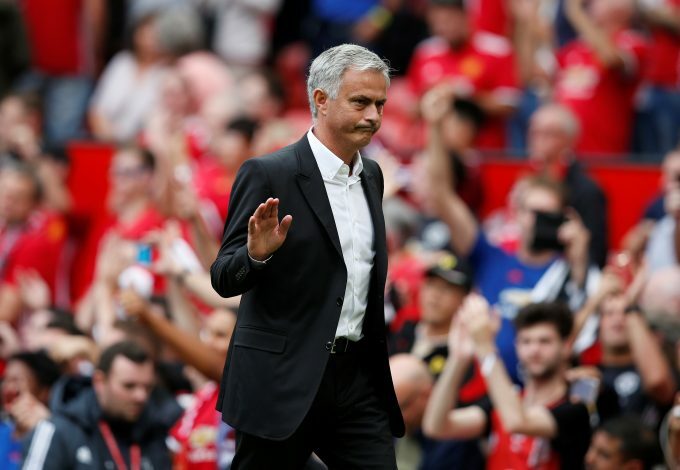 The Portuguese tactician, who won three trophies in his first season at Old Trafford, has a realistic chance of adding to the same by pocketing the FA Cup this term. The Red Devils are in the semi-finals of the tourney, after having bowed out of the UEFA Champions League, and are also on the verge of finishing second to rivals Man City in the Premier League. Mourinho intends to win the league next season, and believes the addition of at least four players will help him get closer to the goal. According to report, the four players Jose has targeted are Danny Rose, Willian, Fred, and Raphael Varane. Tottenham Hotspur’s Rose is a chief prospect to be the club’s new number one left-back, as the manager is dissatisfied with Luke Shaw, who is expected to leave. Rose would take over from makeshift full-back Ashley Young, whose one year extension was triggered by the club on Monday. Chelsea’s Willian has been a chief target since last summer, but the Blues are not willing to let him go. He has been tremendous for the London giants, and they believe he will snub Mourinho’s advancements with, reports stating that a 60m valuation is fine with the Manchester club. Shakhtar Donetsk’s Fred, who is rumoured to be joining City, is also on Jose’s list. The midfielder is linked with the Red Devils in a view to add more solidity in midfield, and allow Paul Pogba to thrive more. Real Madrid’s Raphael Varane has been a long term target for the Mancunian giants, and Jose wants the defender to partner Eric Bailly, but this deal also remains highly unlikely.